Give life to your most precious memories by transforming them into impressive slideshows. 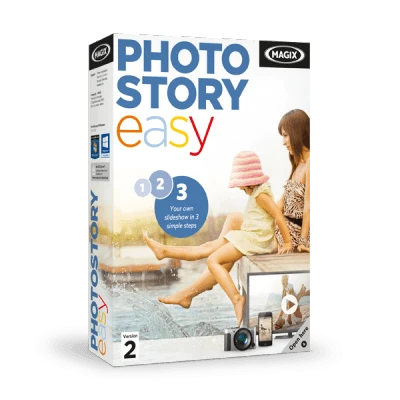 Test MAGIX Photostory easy for free and effortlessly transform photos and video clips into fascinating slideshows with text, music and incredible effects. A clear, easy-to-use user interface combined with unique wizards for automatic optimization, effect design and dubbing make it easier to create slideshows than ever before. Adjust audio recording volume automatically: Adjust the volume of the background music automatically.